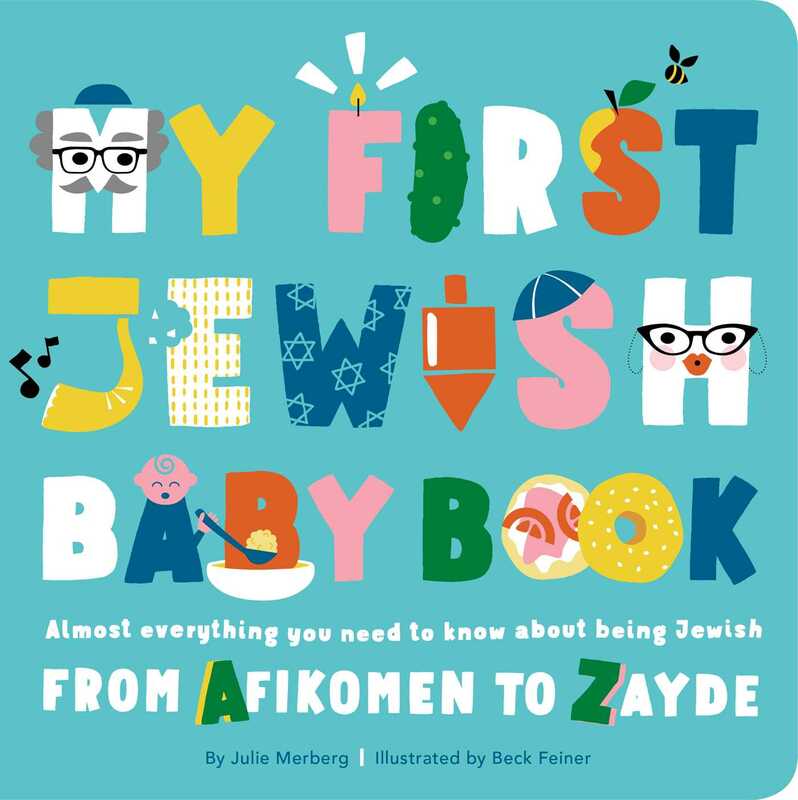 This irresistible board book gives little ones (ages 0–3) an alphabetical introduction to Judaism—the delicious foods, meaningful rituals, lively holidays, expressive language, and more. Hip illustrations accompany snappy, rhyming text in a fun, fabulous package that is a must-have for any Jewish baby's nursery. This tiny tome covers quintessential foods such as bagels and brisket, rituals and holidays including Bar and Bat Mitzvahs, Shabbat, and Hanukkah, as well as important cultural references (F is for Fiddler on the Roof!) with a little Yiddish thrown in. Parents and grandparents will love sharing every concise, funny entry with the little ones in their lives.